Labor Day has passed and to many that means fall has begun. Yet, here in Iowa it is still in the upper 80’s! We will be wearing our summer wardrobes for a few weeks more. I folded the edge up about one-fourth of an inch and pinned them. I did not rip out the hem. 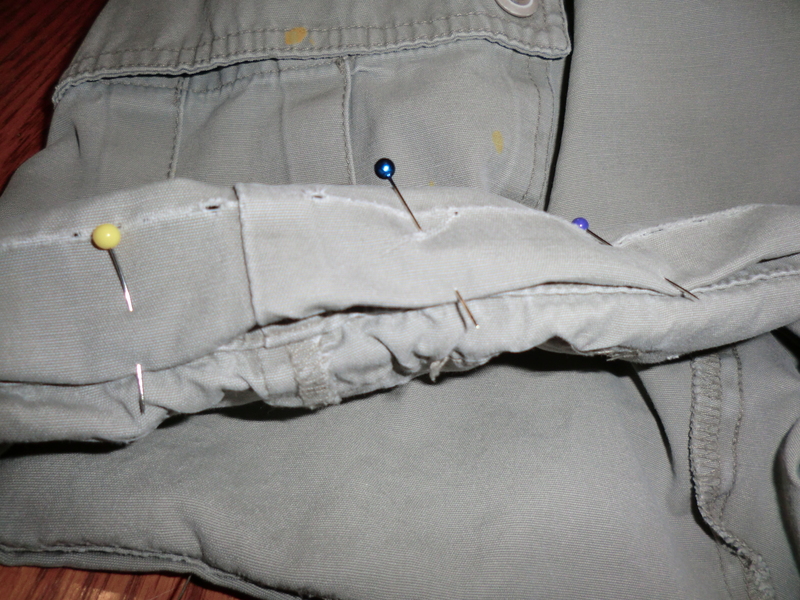 David’s worn shorts, folded and pinned. Stitching below the original line of stitching. I ended up with a “new” edge on a pair of shorts that was only one-fourth of an inch shorter. I did not intend for these to last another year…just to the end of the season. 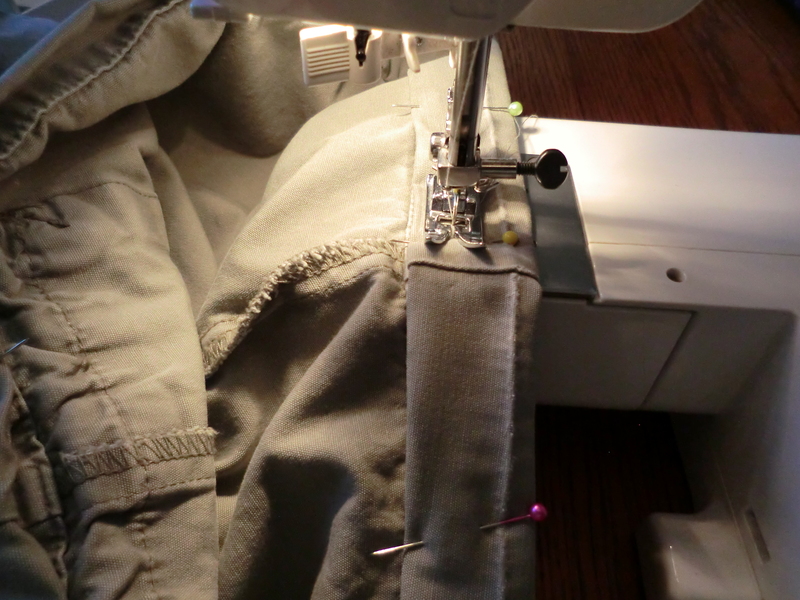 This entry was posted in Clothes, Money Saving Ideas, Repair and tagged Clothes, Money Saving Ideas, Repair It by Frugal Fish. Bookmark the permalink.